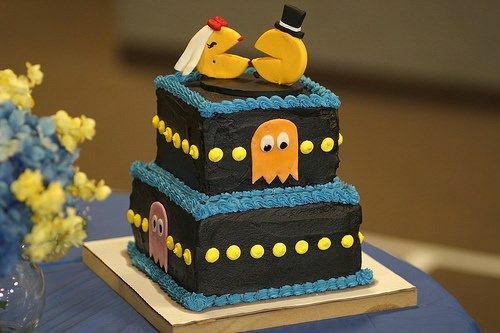 17 Geeky Wedding Cake Designs for Geeks - #6 Is So Dashing! 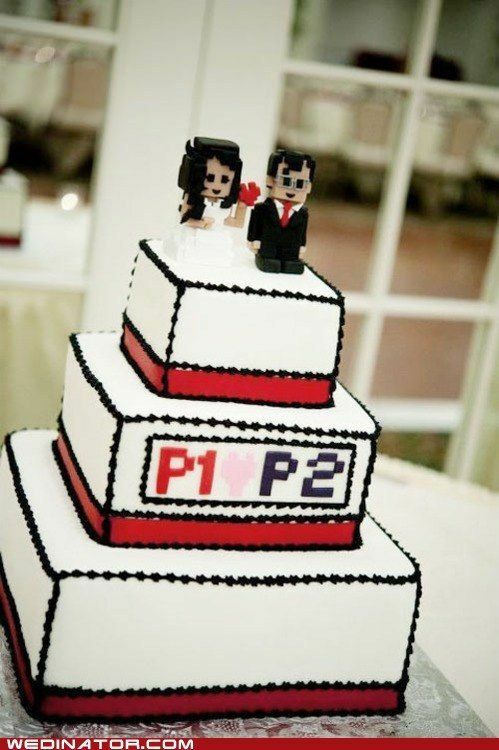 Home Family 17 Geeky Wedding Cake Designs for Geeks - #6 Is So Dashing! Long gone are the days of traditional white weddings. These days you can have exactly what you want at your wedding. 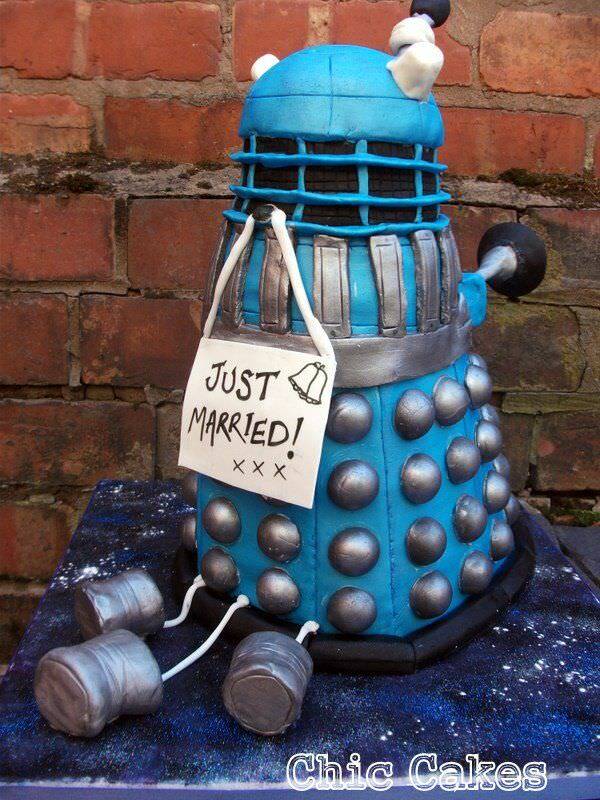 Which is especially great news for geeks as now we can have amazing geeky wedding cakes! Just look at the little Eevee and Flareon getting used as cake toppers! 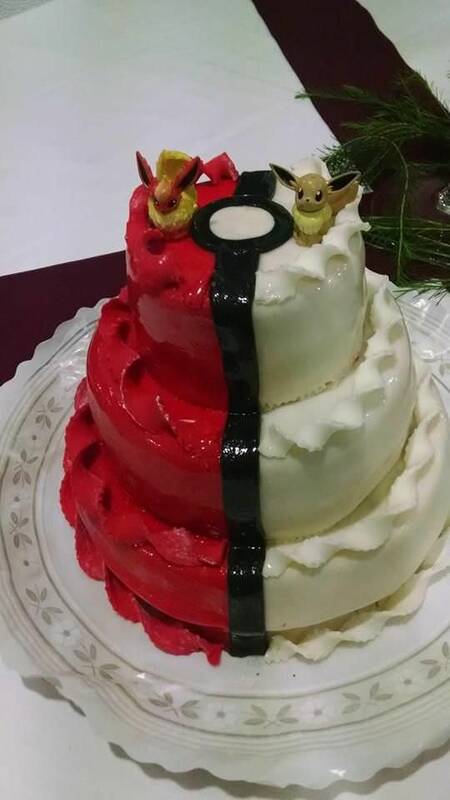 For any Pokemon maniac, this cake is better than finding a Dratini in Safari Zone. 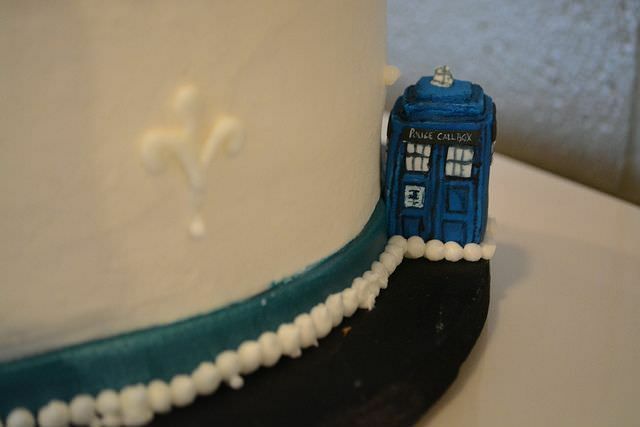 If you want to discretely proclaim your love of Doctor Who at your wedding, what better way than with a teeny weeny Tardis on the side of the cake. Just how adorable is that? 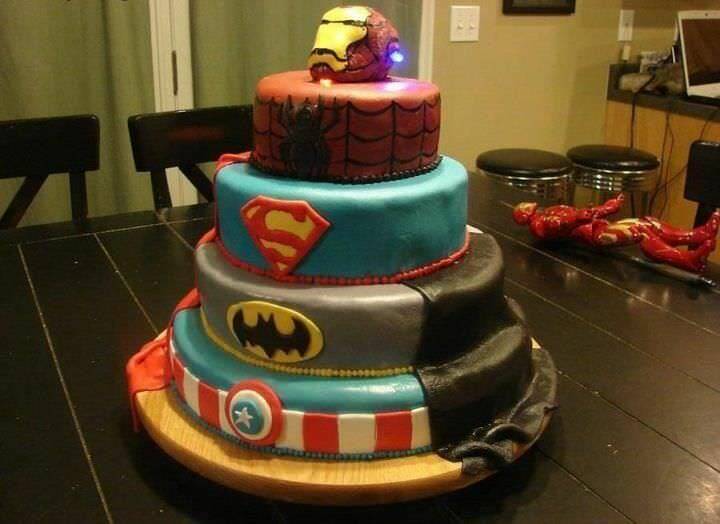 This is one very detailed, amazing cake. Just look at all those dice. 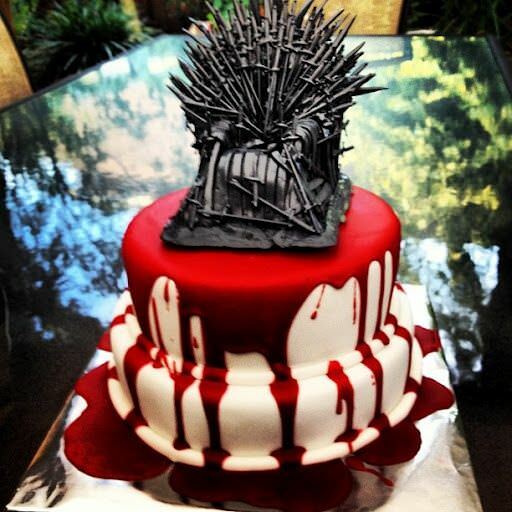 You could use the same idea for a nice Game of Thrones cake too. 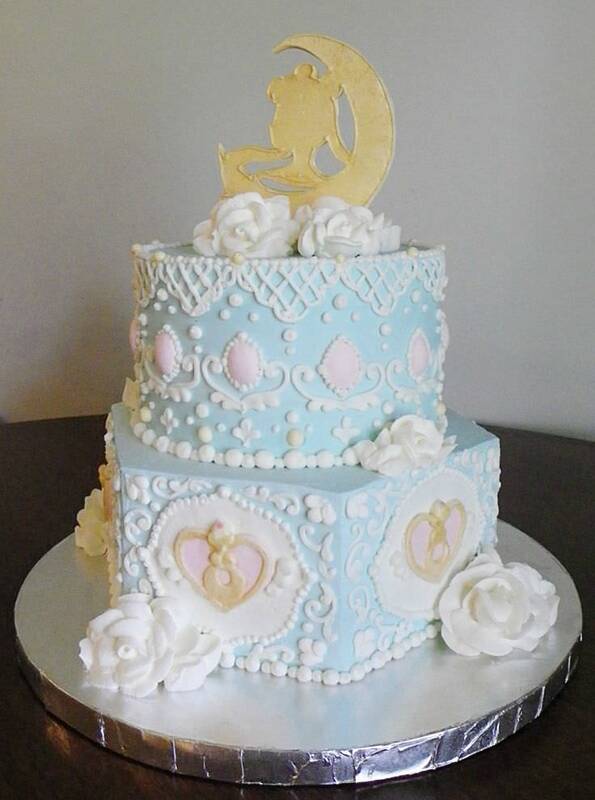 At first glance this looks like a totally traditional wedding cake. That is until you see the Superman emblem plastered in the middle. Well played geeks! 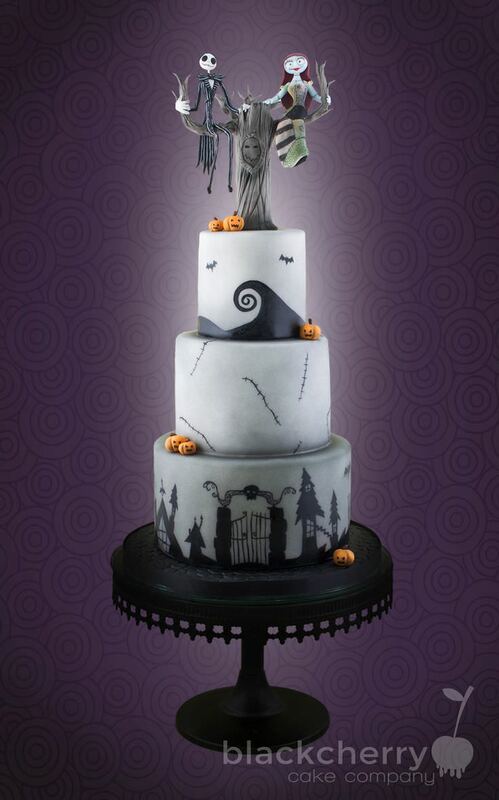 Be like Jack and Sally on your wedding day with this gorgeous cake. They are one of greatest couples after-all. Another geeky wedding cake that will fit into your day discretely, this Sailor Moon cake is perfect for all the anime fans. 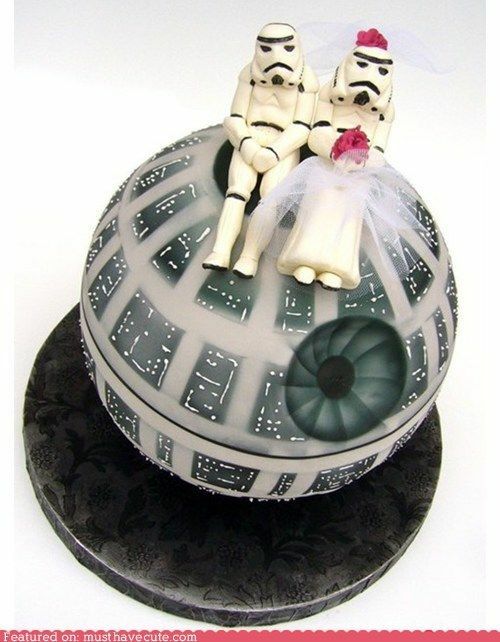 Stars Wars has millions upon millions of fans across the world, so it makes sense that there are so many Star Wards wedding cakes. We rather like this bride and groom Storm Trooper sitting on the Death Star. 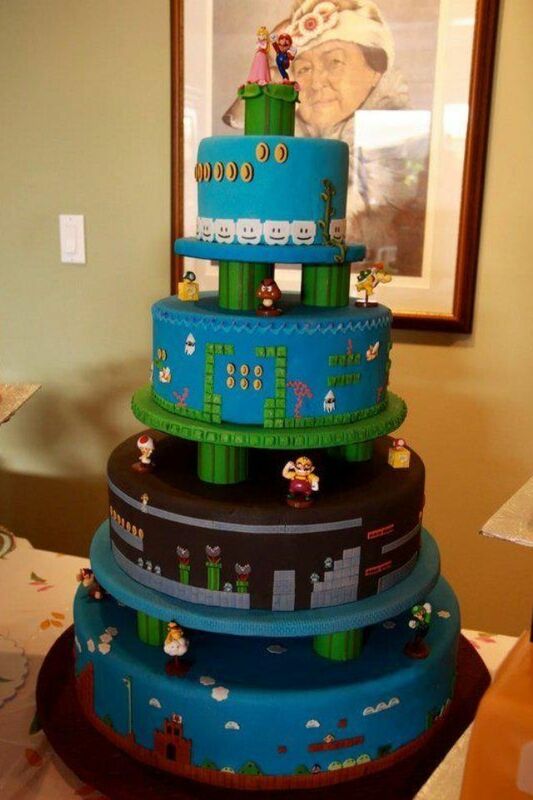 The is the wedding cake for any gamer couple. Just beware the fights to see who gets to be Player 1 (the bride will win). 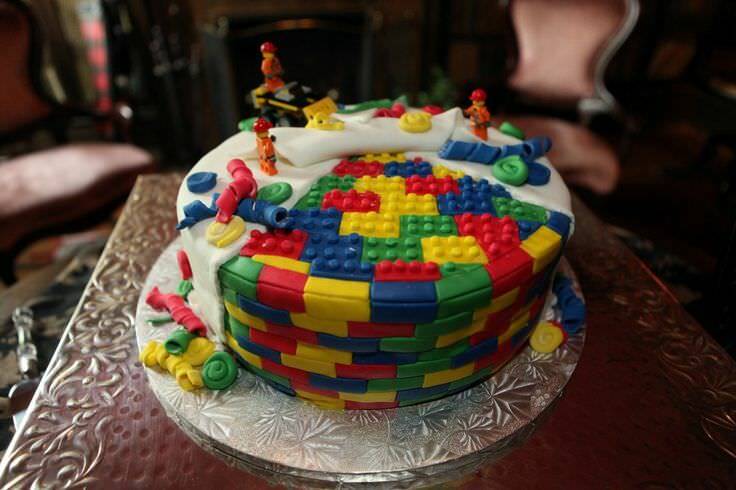 A good marriage is built on good foundations, and what better way to start that than with a Lego wedding cake. Let’s just hope he doesn’t exterminate all the guests. 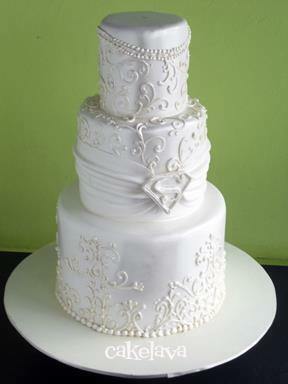 So much effort has been put into this cake – just look at all the tiny bits of detail. It almost looks too good to cut. 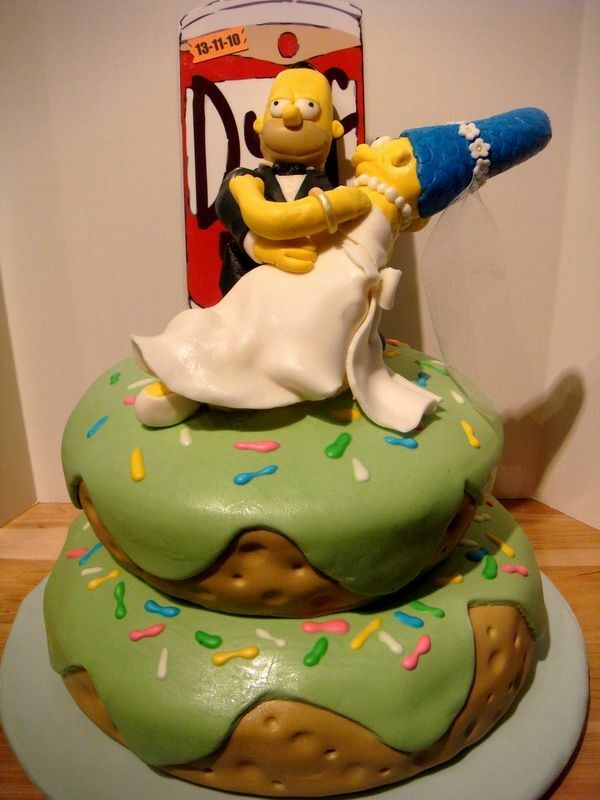 Marge and Homer Simpson are an exceptional couple and this cake is perfect for any Simpsons fan. Especially good when you can’t agree on who’s your favourite. This is just a beautiful cake. 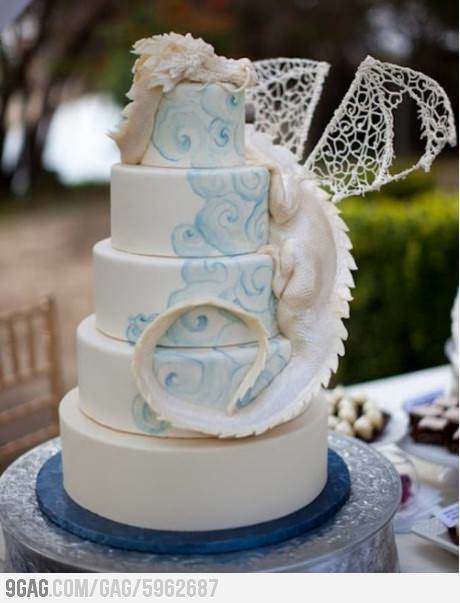 A cake that any fantasy couple would love at their wedding. 14. All of the geek! 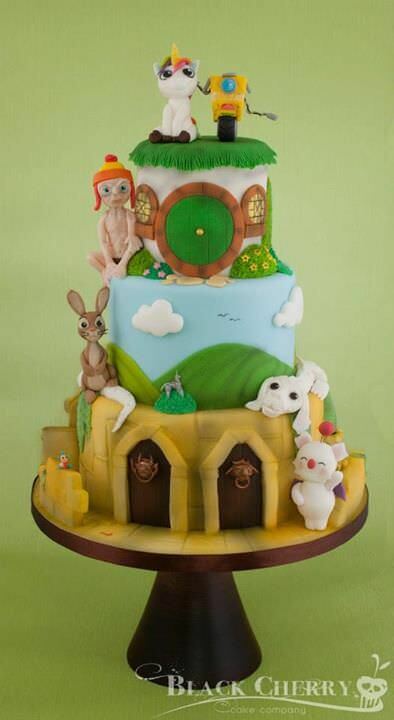 This cake has LOADS of geeky references – can you get them all? There’s some Borderlands, Lord of the Rings, Firefly and many more! Just how cute do Mr and Mrs Pac-Man look? 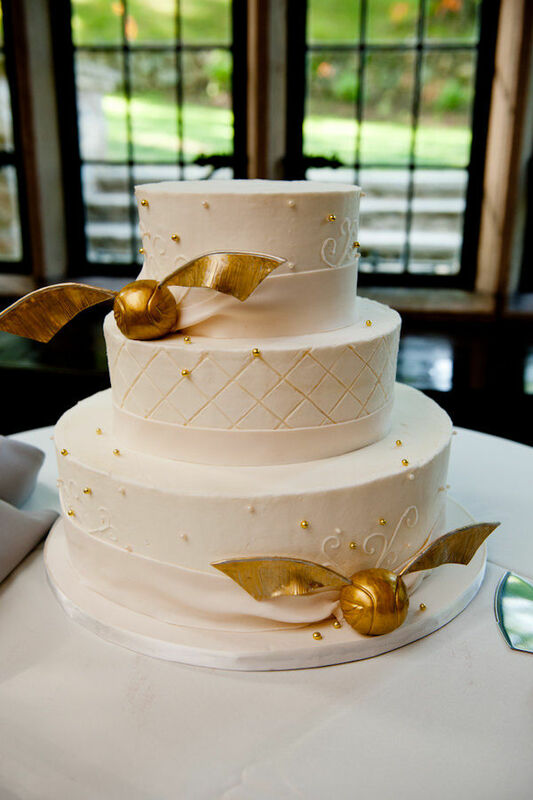 This Harry Potter cake is simply stunning – especially with those golden snitches. Perfect for any muggles marrying. 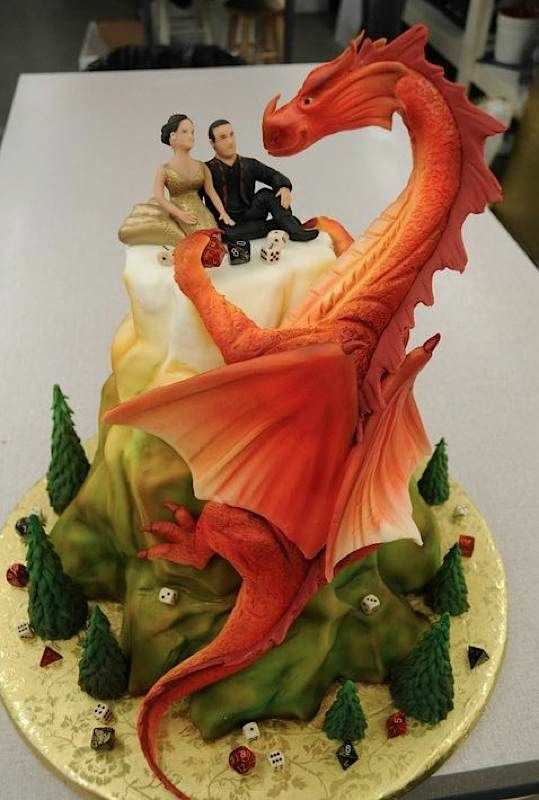 There’s blood and there’s an iron throne, it must be a Game of Thrones wedding cake. And a fabulous one at that. Next articleHave You Seen The New Facebook Reactions Yet? 14 Times Kristen Stewart Was Nothing Like Bella Swan — Because They’re Two Different People! Be a Bella Swan hater, not a Kristen Stewart hater!